Nara is a small city near Kyoto that is well-known around the world for its deer. However, what we find most attractive about the city is its small shops and succulent, warm, just simply wonderful street food. We took the train after our sunrise hike at Inari. 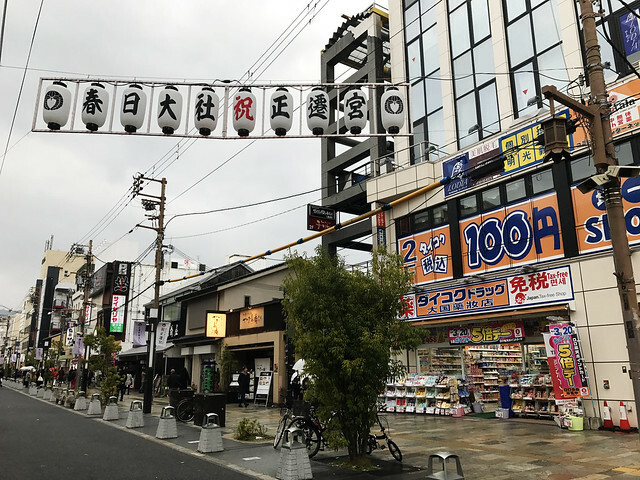 After a little more than an hour in the train, passing through cities and rice fields and little houses on the mountains, we arrived at the Nara station. 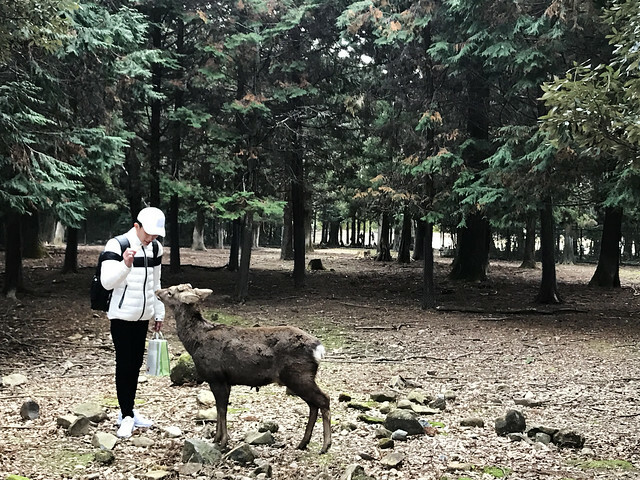 Even before we exited, we saw numerous deer…not real ones, mind you, just the city’s mascot Sento-kun (a boy with deer antlers). 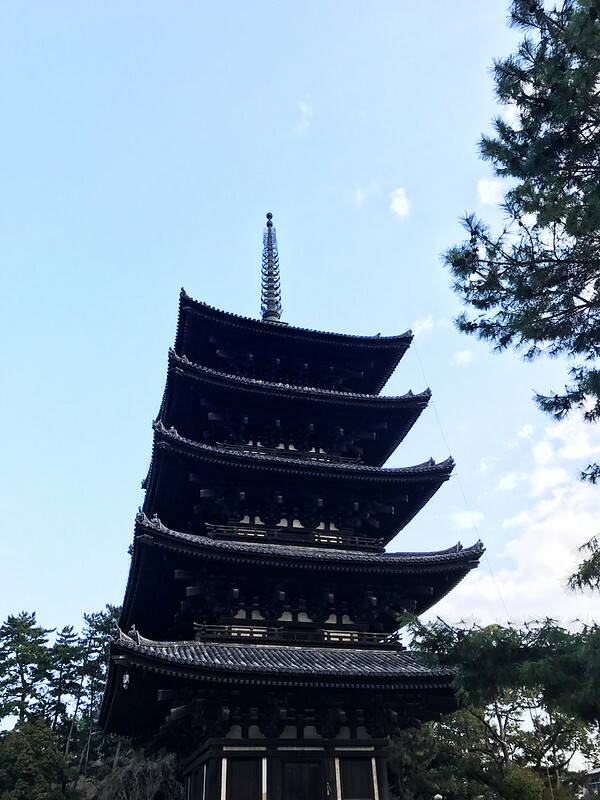 Nara was Japan’s capital in the 8th century and traces of its history remain strong to present day. Walking down the street, you will encounter palaces, temples, shrines, monuments and ruins. While they are not as numerous as Kyoto’s, they are as charming and awe-inspiring. There are family-owned shops lining the streets, offering unique products. We saw a store selling only muslin – they have bags, fabric, veils, clothes, notebooks…the list goes on. We bought a pair of dolls made of muslin and ceramic, but it was a battle preventing ourselves from grabbing every item on the shelf. Another store had really cute handmade products; yet another specialized in pottery. Just going in and out of these shops was an adventure. We only had one real meal that day: platters of sashimi at Maguro Koya. The restaurant was tiny but the food more than made up for the lack of space. The chef, an elderly man with a perpetual smile on his face, sliced and prepared the fish on one side of the room. An elderly woman, perhaps his sister or his wife, rushed around the room with our orders, evading tables and chairs and guests with great agility. We had tea, ikura, slices of raw tuna and miso soup. 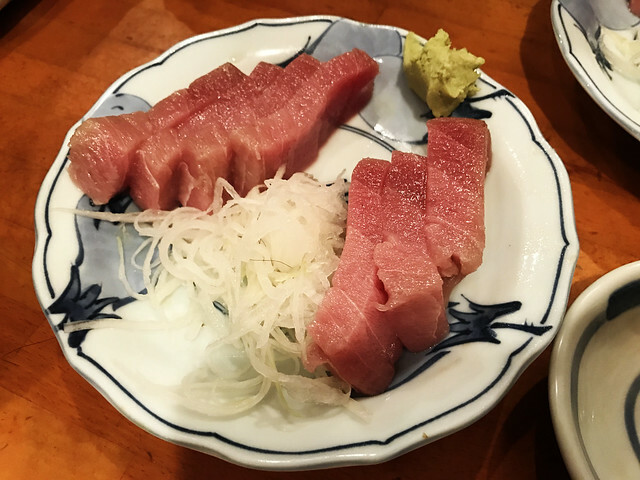 The sashimi we ate was the best we had in Japan. Why only one real meal when we love food so much? Perhaps that’s the problem…two eyes and one stomach lead to a rapidly full tummy, especially when there are food carts around. 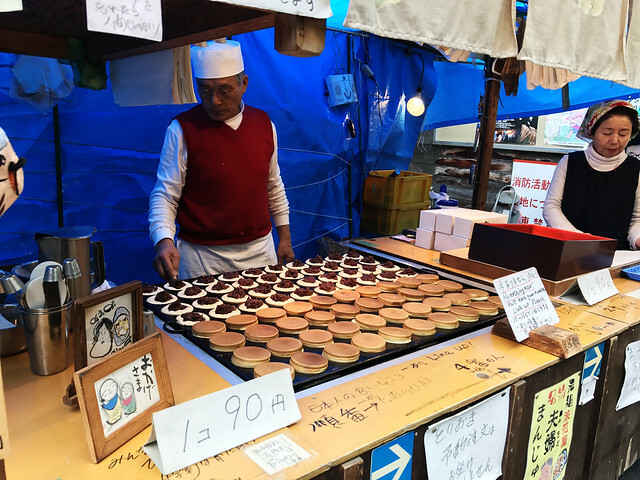 We had pork buns, sausages and imagawayaki sold by a man-and-wife pair (their cart had a line miles long, but the man was more concerned about the perfection of his trade than selling food…the wife wrapped the orders and counted the money). As we were leaving the city, we saw a crowd around this wooden store, accompanied with a lot of shouting. 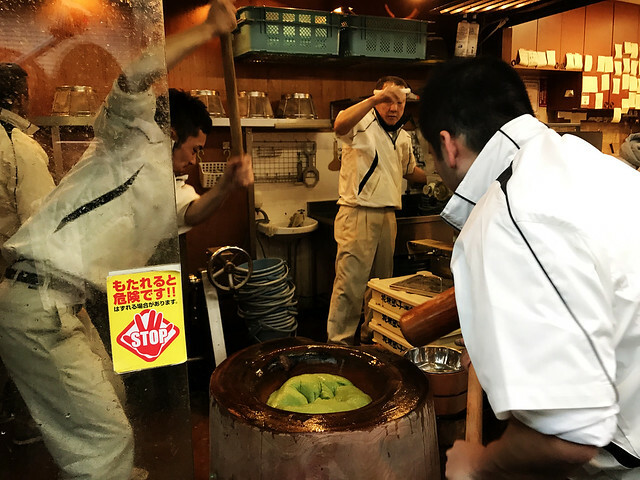 Curious, we slipped through the crowd and saw three men pounding on a gooey substance – what would become sweet, sticky mochi. We took a video and sampled the matcha mocha with adzuki bean mochi. 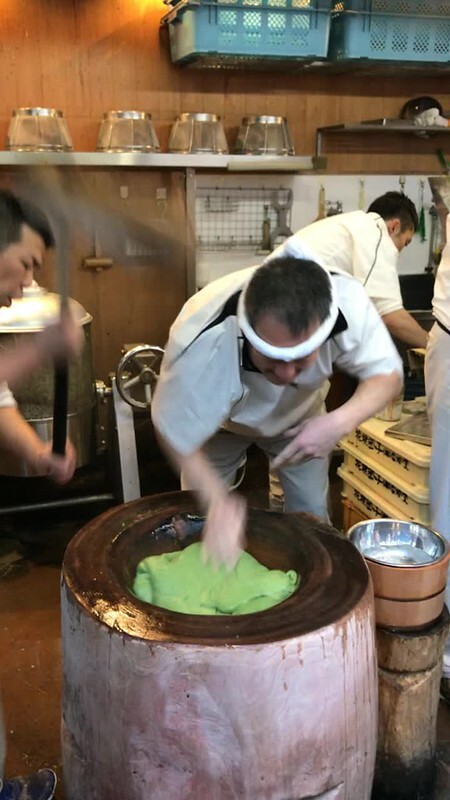 After we came back to the United States, we saw a video by Insider Food saying that the store we happened to come across boasted the fastest mochi maker in all of Japan! 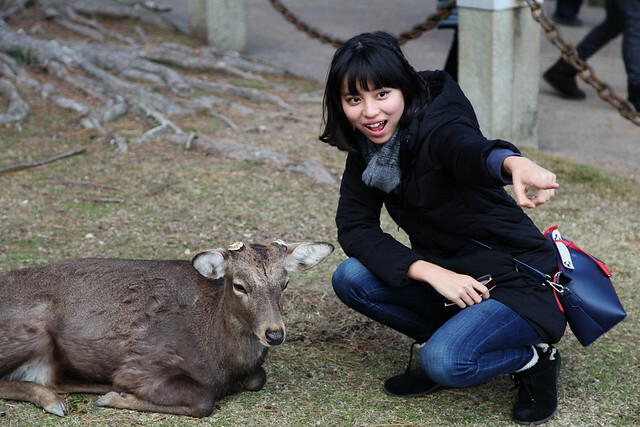 Ah, the infamous Nara Park. We heard so many things about it before we came: the deer walk unafraid among pedestrians (sometimes visiting stores and restaurants), they let you feed them, they are huge, there are as many deer and there are people. Which ones are true? Since olden times, the wild sika deer has been regarded as protectors of the city. They have the right of way. They can roam whenever they want and humans accommodate to the deer’s lifestyle. 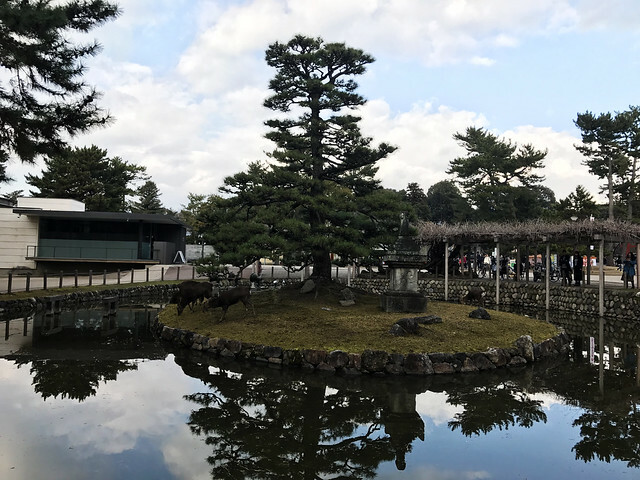 After World War II, the deer were designated as national treasures and treated as such…because of that, the deer of Nara can be seen anywhere in the city (yes, even in stores and temples). 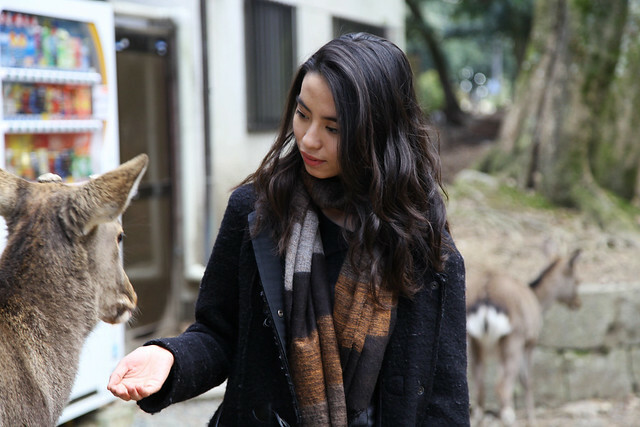 If you go to the Nara Park, you will see a lot of locals and tourists feeding the deer. There are many food vendors around, but we found out that the deer love eating berries more than the dry crackers available for purchase (an elderly local couple gave us a bag full of berries, which they picked by hand in their backyard before visiting the park). Some stories would like you to believe that the deer bowed before approaching you and the food you offer, but we didn’t encounter these polite ones. In fact, some of them can be quite aggressive! With so many great places to visit, we made on oath to ourselves…whenever we visit Japan again, perhaps in a year or five or ten, we will be back. 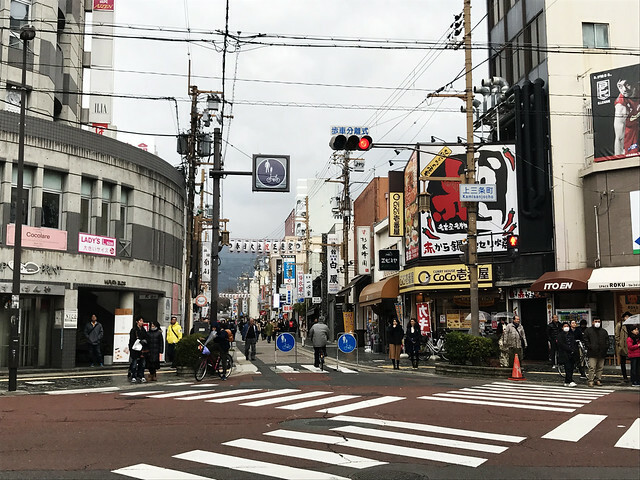 Maybe what we see in Nara will be very different (there has been new developments around the city), but we are excited to see what the future looks like. 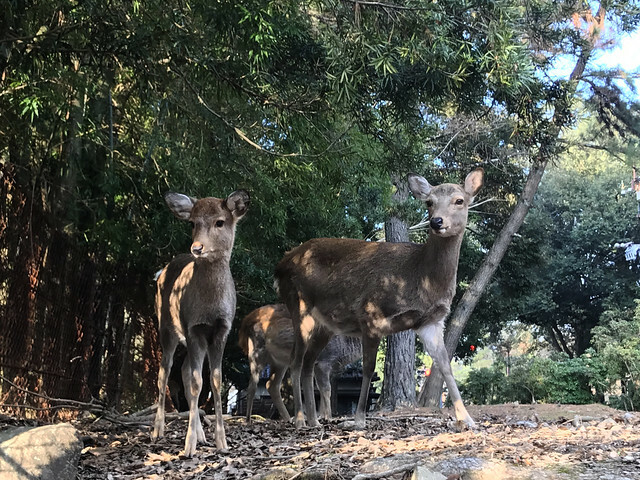 Hopefully the deer continue to be a large part of the city’s life…looking at Nara’s history, however, it is highly likely that this will not change! 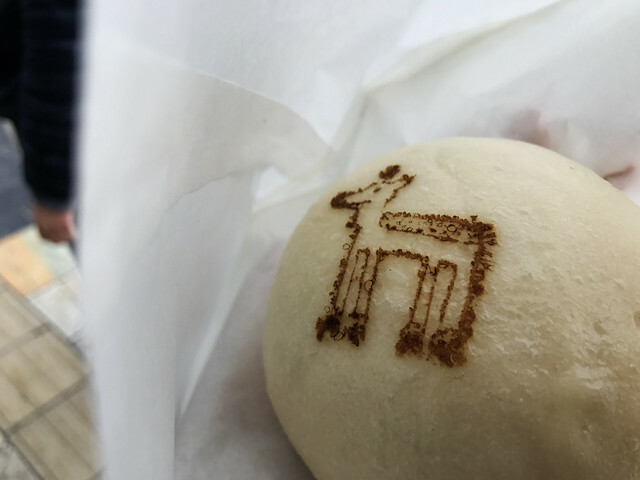 This entry was posted in Nature, People and Culture and tagged food in nara, food travel, japan destinations, mypassengerdiaries, nara deer park, nara destinations, nature, on budget travel, personal experience, photography, review, student travel, tourism, wanderlust, what to do in nara, where to go in japan. Bookmark the permalink. I have yet to visit Japan, but so many of the places have been referenced in its anime. I love your foodie pictures as well! Great read! Ah, beautiful Nara. This posts brings back many memories. Great read! Thank you…glad you enjoyed it. 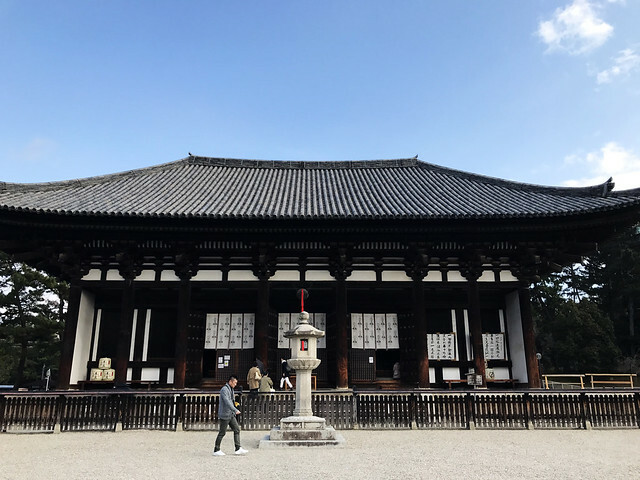 How long did you stay in Nara and what was your take on it? We would love to hear about it!